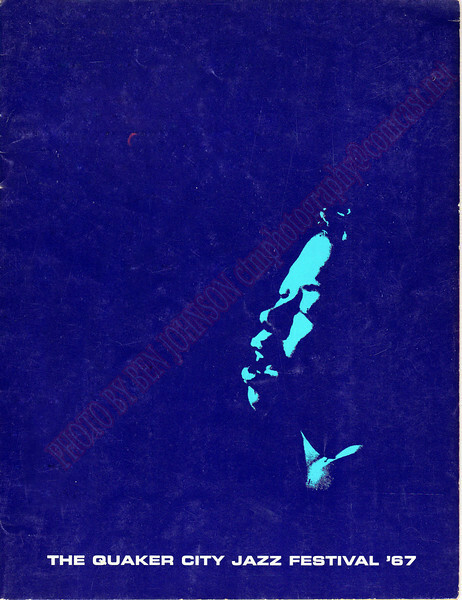 The original program guide from The 2nd Annual Quaker City Jazz Festival, held September 30, and October 1, 1967 - The opening day of The Philadelphia Spectrum - So little is being mentioned about this event in the shadow of the impending destruction of this building. 17500 people packed the opening day of the Spectrum. The show was delayed almost an hour because of the traffic. Not since has there been an coming together of this many noted musicians of any musical genre in the city of Philadelphia.